Today was an awesome day. The kind of day that makes you stop and think; to reflect on life and what’s really important. I can count on one hand the number of days I’ve had that have impacted me like today. 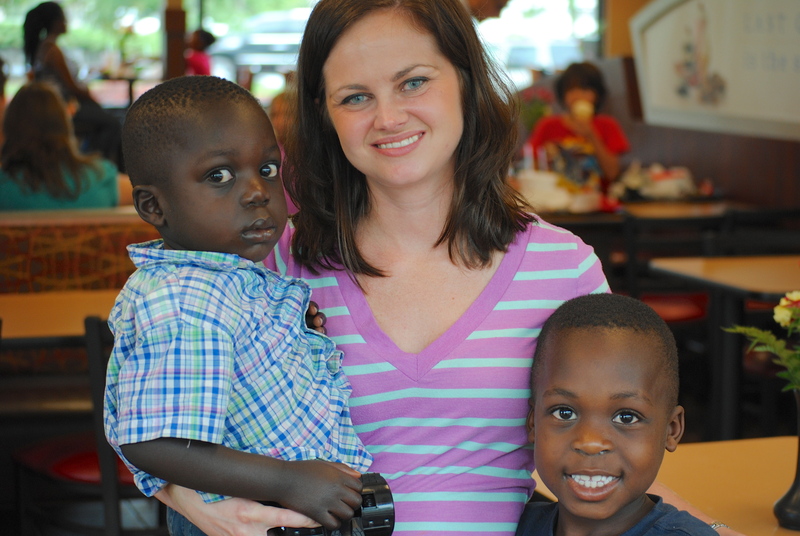 Today my cousin and her husband brought home their two little boys, Nathaniel (6) and Elijah (3), from Uganda. 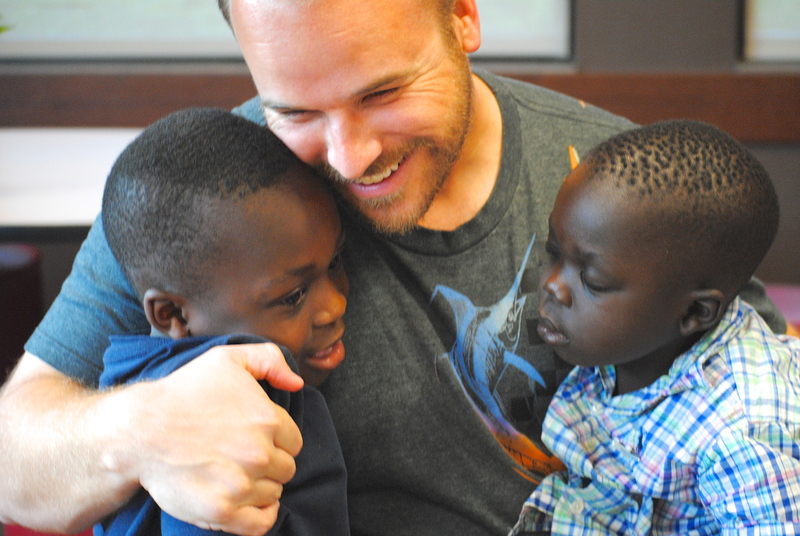 Today these little boys left a life as orphans to come home to a family that loves them more than they will ever know. Today these boys came to a place where they won’t be hungry, or lonely, or forgotten. Today these little boys started their new life. As I watched Nathaniel today, taking in everything around him with so much joy and happiness, I was overwhelmed with the enormity of it all. To think about what life used to be for them, and what it will now be is almost incomprehensible. 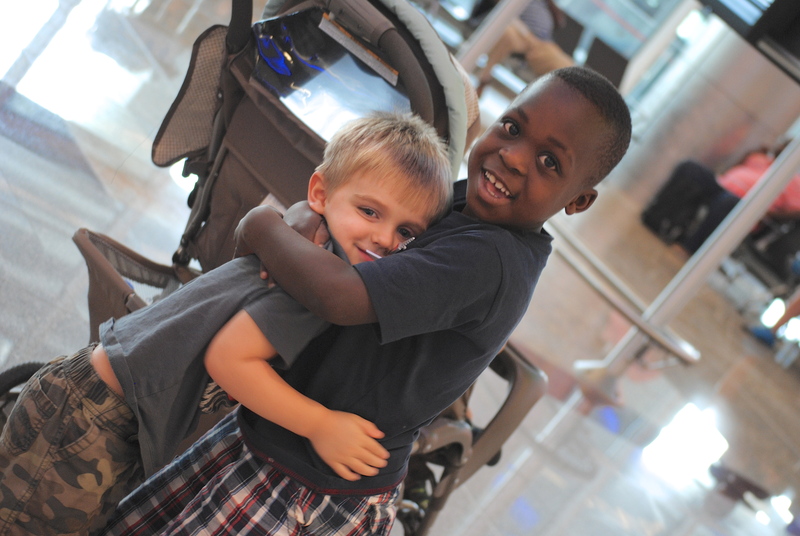 And what life would have been like had they not been adopted by a loving family in America. These boys have been blessed. Worn out from the flight, Elijah was asleep for most of our visit, but Nathaniel got to play with my boys. When he first saw them he was so excited, it was like he was seeing a long-lost best friend. His eyes were filled with such happiness and there was a great big smile on his face. So between the wonderment of his new family and the awe of everything new around him, he was on cloud nine! 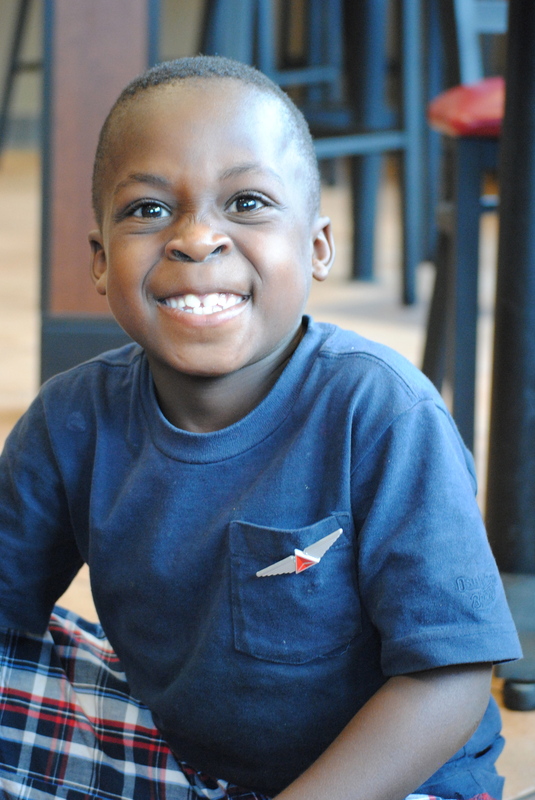 From riding in our stroller, the elevator at the airport and the playground at Chick-fil-a, watching him take it all in was just awesome. My cousin likened it to the movie Elf when Buddy first gets to the city – and that was exactly what it was like! The whole experience was simply priceless. So today was a pretty awesome day. My heart is overflowing with love for these little guys, and for my cousin and her husband. They are giving these boys not just a family, but the opportunity for a future unlike anything they could have had. The trajectory of their lives has forever been changed. And so as I watched them today with big ole smiles on their beautiful faces, I wonder if they know just how good life is about to get. They will be loved and sheltered and fed; they will be given guidance and an education and the opportunity to fulfill their dreams – whatever they may be. 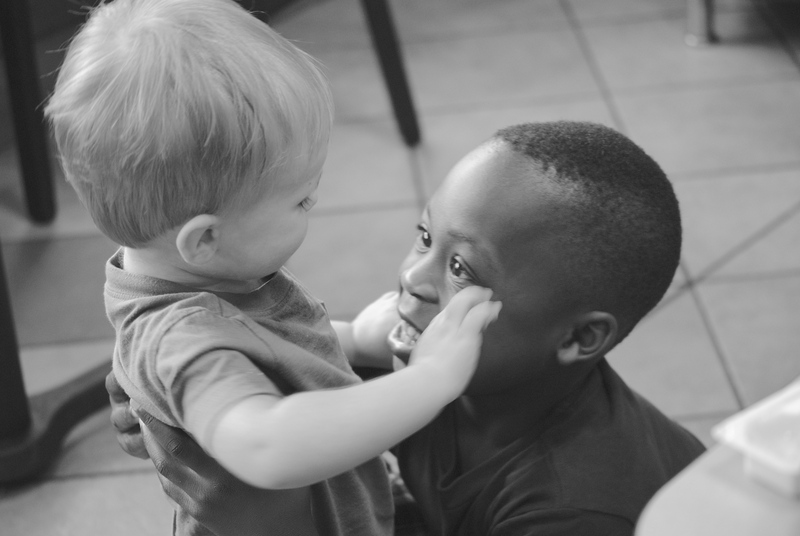 It’s days like today that you realize how lucky your children are to be born into privilege – and that your heart breaks for the millions who are not as fortunate as Elijah and Nathaniel. It makes me feel like there is real good in the world, and reminds me that God does truly amazing things. I feel gratitude toward the families, like my cousin’s, who are called to rescue orphans – even if that means leaving the comforts of their life to live in a third-world country for six weeks to do it. So today I feel blessed that I get to be a part of this amazing story, and that I will get to be a part of these little boys’ lives. I feel blessed that my heart was opened to all this love and I am thankful for the ounce of perspective – today was a good day.